Little did Ben Giles know that attending Badger Boys State as a Junior in High School would lead him to discover his passion to empower, inspire and help society to become the best it could be through running for public office. While Giles began his career in Madison, he longed to make a difference and impact in a close-knit community. He returned to Fond du Lac in March 2017, began working for the Fond du Lac Family YMCA, founded a local Youth in Government program and was elected to the Fond du Lac City Council in April 2018, the youngest individual to be elected to Fond du Lac City Council since the city changed to a City Council-City Manager form of government in 1957. Giles’ community involvement is widespread. In addition to serving on the Fond du Lac City Council, he is also an advisory member to the Plan Commission, Fond du Lac Metropolitan Planning Commission and City/County Government Building Board. 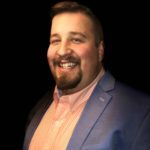 Locally, he is a board member of Fond du Lac Festivals, choir member of South Shore Chorale, and actively involved in Fond du Lac Community Theatre, Fond du Lac Area Lemonade Day, YPF and much more.